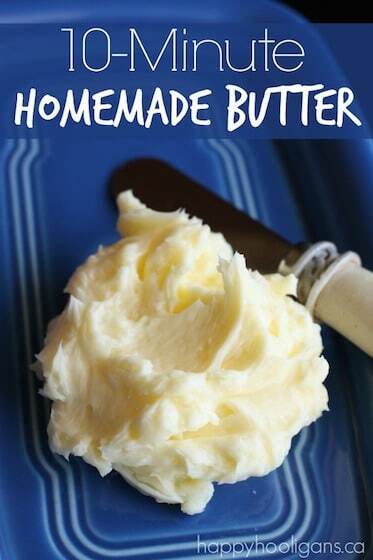 Home » Popular Posts » Easy 2 Ingredient Cloud Dough – Ready in 5 minutes! Easy 2 Ingredient Cloud Dough – Ready in 5 minutes! 2 Ingredient Cloud-Dough: the ultimate sensory dough! Cloud dough requires only 2 common household ingredients, and it’s ready in minutes. It smells heavenly, and it’s a delight to run your fingers through! 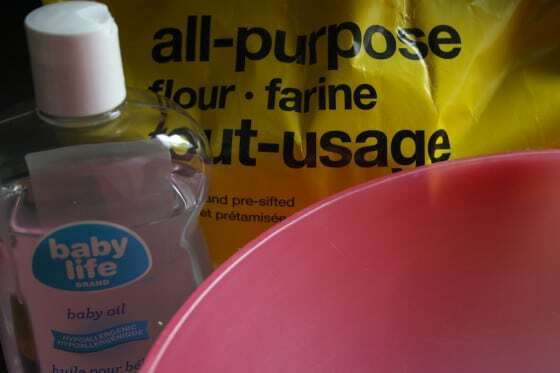 I’m a sucker for a good, homemade sensory play recipe, and this flour and baby oil Cloud dough is something I’ve been waiting all winter to make! I’ve seen cloud dough on plenty of other blogs, and every one mentions the mess-factor so I’ve been waiting for warm weather so we could make it and play with it outside. Cloud dough (also known as moon dough or moon sand) is silky and mold-able and takes just two ingredients to make. It’s an amazing sensory dough! The Hooligans absolutely loved it. I’m not kidding when I say it kept them engrossed for well over an hour. Click here to get our Printable List of 100 Summer Boredom Busters! Along with our kid-safe Unicorn Slime and our 2-ingredient ghost mud, it’s become one of our favourite sensory substances. Since first writing this post, I’ve also come up with a coloured cloud dough recipe and a toddler-safe cloud dough for little ones who still put everything in their mouths. You’re going to love how easy this recipe is! Simply add the baby oil to 8 cups of flour. Stir well. I used a pastry cutter to mix ours, but a spoon or whisk would be fine. Transfer your dough to a bin or basin (I purchased this kitty litter box at the dollar store, and it’s perfect for sensory activities). 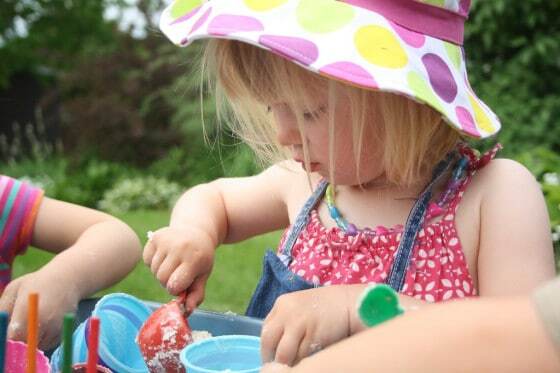 Set out some colourful bowls, scoops and molds and let the little ones at it. There’s something so soothing and relaxing working with this dough. The Hooligans were so QUIET while they played! 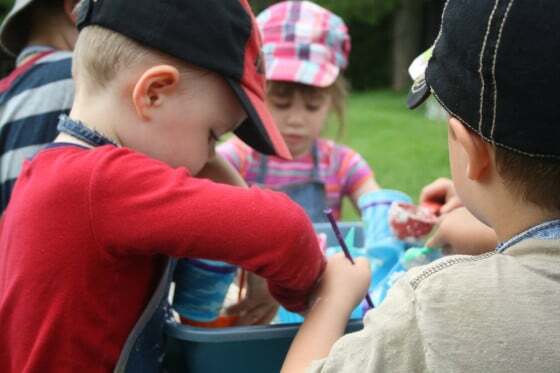 You’ll want to have the kids wear old clothing or aprons. Check out the awesome aprons I make from the legs of our old jeans! 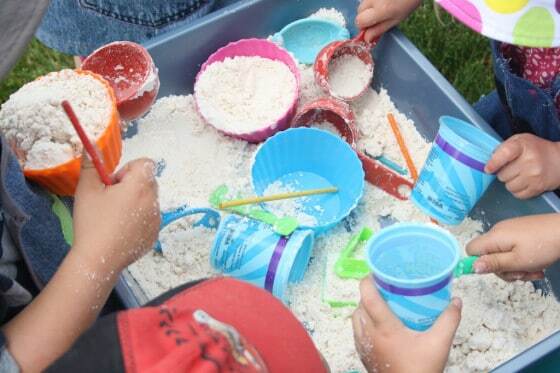 This is definitely messy play so I would recommend taking it outside. If you have to use it indoors, put down a plastic table cloth to contain any spills. I had another activity set up as well. 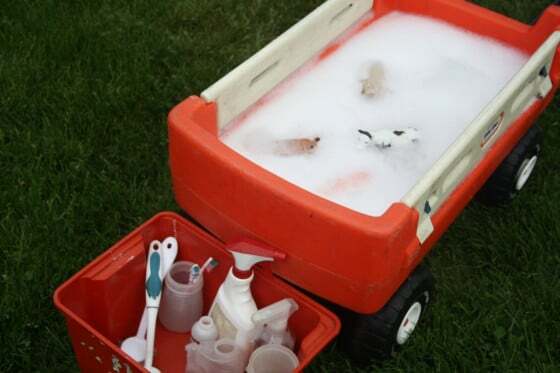 I filled the wagon with warm soapy water, and added containers, spray bottles, sponges and some farm animals. The Hooligans went back and forth between the two activities but the Cloud Dough bin was by far the most popular place to be today. How do you store cloud dough, how long will it last? Cloud dough will keep indefinitely when stored in a container with a lid. Want to make some coloured Cloud Dough? Since writing this post, I’ve figured out how to colour a batch of cloud dough! It took a few attempts because traditional water-based food colouring won’t work due to the oil content of the dough. Get the coloured cloud dough recipe here! What a great set up with all of the molds and scoops! We love Cloud Dough here at the Clubhouse, and it really does last a very, very long time… which is always a bonus. Glad you all had fun with it! Aw, thank you, Sandi! I’m so glad you’re enjoying our activities! I’m not sure if it would work with cornmeal. You could certainly try. It would definitely produce a sensory play substance of some kind, I’m just not sure if it would be as silky soft as it is when you use flour. I’m also not sure about how absorbent cornmeal is. You might end up with more of a sticky dough kind of material. I would suggested testing your idea with a couple of tbsps of cornmeal and a tbsp of oil to see how the two ingredients mix together. Let me know how it turns out! Yup, a bin of cloud dough is my favorite place to be too! Such a soothing texture! It’s so lovely!, isn’t it, Rebekah? My only wish is that I’d used brand name baby oil. It would have smelled wonderful too, but the no-name brand that I used really didn’t have a scent. This looks like SO much FUN! It’s on our Summer bucket list — can’t wait to give it a try!! Thanks, Debs! I was the same – had been wanting to try it forever, but needed to wait for the warm weather. Have fun with it! why would you have to wait for warm weather to make it? can it not be used the weather is not warm? I’m going to try this. Goblin loves sensory play and this looks perfect. I assume you can colour it too if you want? I’m going to experiment with adding some food colouring to the mixed dough to see what happens. Apparently you can’t mix food colouring with baby oil (think oil and water), so I don’t think it can be done before you add the oil. Thanks for dropping by! Tried this today. Goblin absolutely loved it and played for ages, but I can confirm that paste food colouring doesn’t work either. It just goes clumpy. I loved playing with it too, it feels so nice – must be great for your hands – especially as the only oil we had in the house was olive oil! We love cloud dough too. I mixed food colouring in after it was mixed and it went a nice speckled colour! Aha, speckled! I guess that’s because oil and food colouring don’t mix (similar to oil and water). I’m just figuring this all out today, after hearing about someone else’s experimentation with colour. Thanks for letting me know, Katherine! I’ve not done this to cloud dough consistency so much but I have added more oil so it’s more gooey. It would form to the container. We didn’t cover it so after a while it was more like playdough consistency I think. It was a great sensory/discovery activity. The kids helped mix it with their hands and both the kids and adults really liked it. It smelled good and was good for our hands too. That sounds wonderfully squishy, Amber. You should give the cloud dough a try too! Have fun with it, Helen! FUN! We love cloud dough, too! We haven’t played with it outside though so that is definitely on the agenda for this summer! Love all the different molds and straws are a great idea! Oh yeah, Adrienne! You have to try it ouside!! 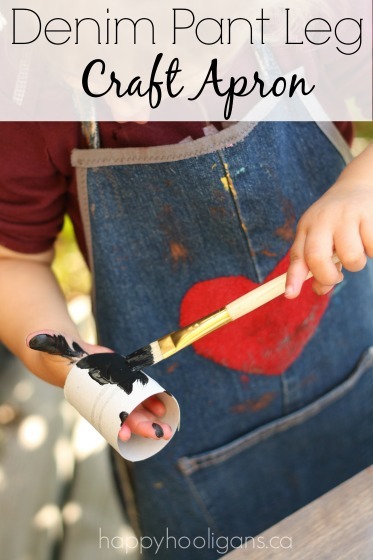 It’s such a great backyard activity for summer! Jackie- as a mom who made 3 underbed bins containing 170 lbs of cloud dough for a birthday party, I want to say (because the sheer volume we used makes me an expert, of course) that I have never met a kid who didn’t love cloud dough! haha! Glad you guys finally made it! Y’know what else? I still have all three of those giant bins filled with the original cloud dough and we still roll it out into the yard and play as a family 6 months later. Cloud dough is the best!!!! But, you do have to wash away the excess otherwise the oil and flour will clump and dry on the sidewalk! When you’re confident that you child isn’t going to be tempted to eat it, Jan. You could supervise very closely, but if you’re not certain that your child won’t want to taste it, I would hold off. Fun, fun, fun!! We love cloud dough. My daughter’s nursery school teacher asked me to lead a cloud dough station after reading about it on my blog, and it’s just as successful at home as it is in a larger school environment. That’s super that they asked you to do that! Bet they could get TONS of great ideas off your blog for the classroom, Rachelle!! What great fun! I love the second activity you had set up in addition to the cloud dough! My daughter LOVES cloud dough though. It is a favorite. Pinned! I needed an activity fast and came across this. THANK YOU. We actually didn’t have baby oil, so I used Olive Oil instead. Toddler was most pleased. Reading the comments here, I will have to try some. Hi Bella! Great thinking – improvising with the Olive Oil! Glad your little one had fun with it! Apparently it stores for a long time in an air tight container too! And yes! It’s messy!! Definitely an outside activity! Could you also substitute coconut oil? You could try. I’ve used vegetable oil in the past, but I haven’t personally tried any other edible oils in this recipe. That’s an amazing cloud dough set-up! I’ve always intended on making this for the girls, but haven’t yet. I love the idea of taking it outside! It’s soooo awesome, Terri! You gotta try it! Thanks for this great idea! Both my boys loved it (ages 5 and 2) as did I! Wonderful! Thanks again!! Just had a great Sunday afternoon with our batch of Moon Dough. Kids loved squishing and smashing! Awesome! So glad you had fun with it, Amanda! I wonder whether you could add an envelope of unsweetened kool-aid type drink mix for color and scent? Anybody try that yet? I believe Valerie and Alex from Glittering Muffins tried that, Sue, and the resulting colours were very pale. Wait a second! It may have been jello powder that they tried. Or maybe they tried both. I can’t remember now! powder tempra paint also works. mix it in the the flower to add color then mix in the oil. I’m new to your blog but oh my! I will be back again and again. So far I am in love with the cloud dough, colored ice ideas and homemade watercolor paint! Thanks so much! I just made this now but I did 1/8 cup of oil and 1 cup flour because I didn’t want to make a lot in the first round (only 1 child would be playing with this) and WOW this was amazing! First off it is exactly like the moon dough stuff and secondly, it smells soooo much better than the moon dough lol. So thank you for the wonderful recipe! This just warms my heart! I love it! 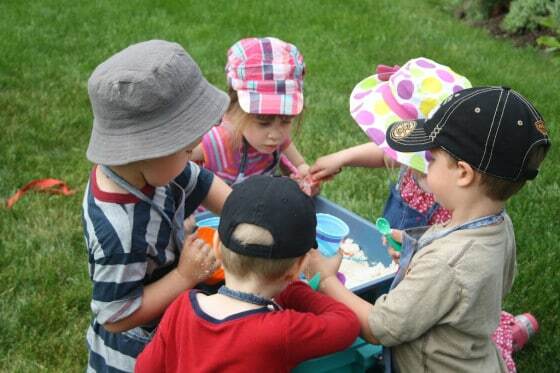 My son goes to an in home daycare and although the kids are all a little younger than the ones you watch, she is like you and loves to take them outside to explore and do fun crafts. I can’t wait to mention your site to her for future “big kid” playtime. 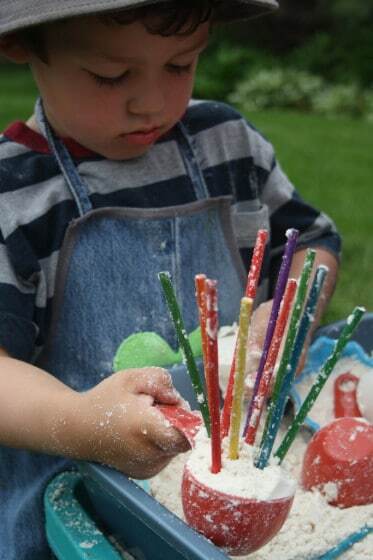 I am an art teacher and love all of the sensory play and crafts. Great stuff! Your comment means a lot to me, Leah. Thank you! I’m so glad your son is in a daycare where he gets to explore and create like we do. What a wonderful time he must be having! Thank you for passing my blog along to your care-giver! I’d never heard of this stuff! Sounds great! 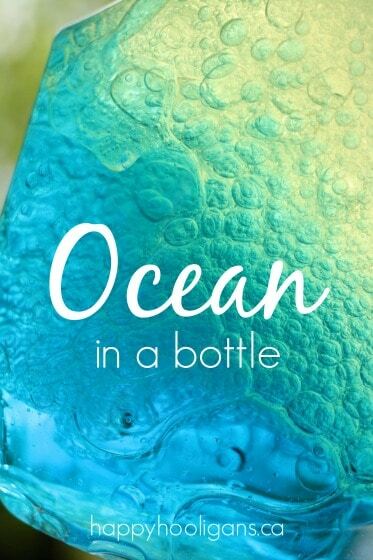 There IS a way to colour it, but you don’t use the usual food dye in a bottle, as that contains water. However, you CAN get powdered food dye, which is used in chocolate making, as chocolate needs to not touch moisture, or it’ll clog up and ruin it during the melting process. The stuff I have comes in very small bottles, so might be a bit expensive if you need lots of it, but it’s perhaps something to look into. The powdered food dye for chocolate making can be bought from anywhere where chocolate molds and other such supplies are bought from, like Robin’s Kitchens. I’m also pretty sure you can obtain much larger amounts of powdered dye to colour water (or anything else) with, but I doubt it’d be food safe. Thanks for the tips, Sasha! I’ve never heard of powdered food dye! I have heard actually that you can tint the cloud dough with powdered tempera paints. Could that be what you’re remembering from your pre-school days? I have quite a few tins of that. I should really try adding some to the bin when we play with this again next spring. We just made cloud dough, in our kitchen. We put down a table cloth and went to town!! Even my 6 month old wanted in on the fun! I wonder what some pumpkin pie spice would do to the smell. Might be good! I think adding pumpkin pie spice would smell lovely, Tana. Glad your kiddos enjoyed this activity! What fabulous ideas!!!!! Love them! ! We made a batch of cloud dough today. It’s great. Yay! We just love that stuff here, Amber! How many recipes did it take to fill that kitty litter box? Just the one recipe that’s listed in the post, Tara. If you use vegetable oil instead of baby oil it is safe for those little ones who like to taste things. I have special needs kids with sensory issues so we adapt all sensory bins to make them safe for tasting. This looks like an awesome idea! My three year old son loves the packet of name brand Moon Dough that he got as a free gift with another toy, but because you lose a little every time you play with it, what was once a decent amount is now a small ball :(. So I think I need to make some more for him! On that note, has anyone tried using a powdered-type colorant with this? I’m thinking even something as simple as a finely-crushed dollar-store eyeshadow or blush would mix well with the flour and produce an even color. Also, what about color-appropriate scents? I know of a FANTASTIC company that makes amazing fragrances for homemade soaps, candles, and other items. Perhaps an unscented baby oil with a little blueberry, grape, raspberry, lemon, apple or watermelon scent would take this stuff to the next level? Tried this with my little boy and he loved it! He then added water to it and created a sticky mess..lots of fun! 🙂 thanks! What is the recipe for this? Like how much of what do you use to make a dough? Any idea if this could be done with baby powder instead of flour? I have a ton of never touched baby powder and am looking for something to do with it. I don’t think I would use baby powder as it’s much finer and the dust can pose a health hazard if inhaled, Leslie. I would personally stick to the flour as it’s natural and not nearly as light and fine. Thanks. I didn’t think of the inhalation issue while mixing. Going to blame it on baby brain. Guess I will have plenty of powder for my beach bag for sand removal. Can’t wait to mix a batch of this for my toddler. Can you add color to it? This looks so incredibly fun! Due to food allergies, we have cut out most play doughs, and boy do we miss them! It’s a long shot, but has anyone had success using a gluten free flour for this? how long would a batch of the cloud dough last? Storage and shelf-life is mentioned at the bottom of the post. Has anyone done this using a gluten and wheat free flour? It’s cold out here today but I just made some for my 2 and 4 yr old put trash bags down on the kitchen floor and they have been playing ever since without making a huge mess 🙂 I just told them to keep it in the container. this is my new favorite stuff! Awesome, Sarah! I may just have to brave it indoors one of these days then! I made this and added color and my kids loved it so much! Hi how long can you keep cloud dough? So going to make this tomorrow for my 2 boys, my third has to wait awhile before he can join in on messy play which his brother’s absolutely love to do, think dirt water and flowers and leaves, my almost 5 5 yr old calls it his recipes, going to make it with vegetable oil or rice bran oil as baby oil is a by product of petroleum. Need to purchase a big air tight container and we have a container with wheels, and the lid has cracked so be great to put in while they are playing, need to go op (opportunity) shopping (u call thrift) and get some second hand kitchen gadgets or a cheap variety shop. I love your FB page which sends me to your blog and links awesome! I just seen this post…..wondering if you can use any flour or is it a certain brand? I think any All Purpose flour would work, Sandra. I did this with my daughter last year and she loved it! You can also get side walk chalk, crush it (you can take a butter knife or even a cheese slicer) once it is dust like, mix it with the sand so you can make the moon sand into different colors as well. That sounds wonderful, Tracy! We’ll have to try it! I made moon dough for my boys years ago when they where little.its been around for years as i remember playing with it at my grandma’s house..We use to add food coloring to it and they loved it.. I can’t be sure, Jessica, but I think it might. 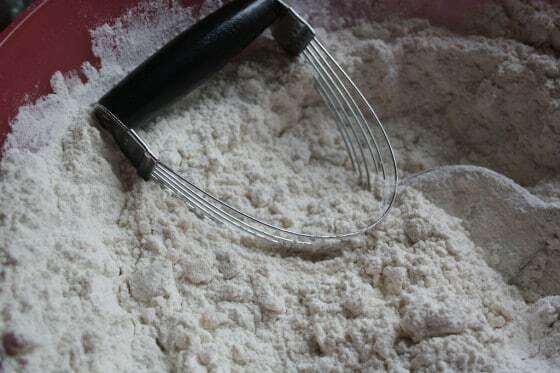 You could try mixing up a very small amount – 1/4 cup flour and a tbsp of oil to see what the consistency is like. Wonderful idea! I love this! My step daughter got this in her hair thanks to making it “rain” cloud dough! Any suggestions on how to get it out?? Her hair has been washed and combed… I tried dishsoap and drowning her hair with conditioner but it is still there…. Tiny little pieces. Please help! I can’t say we’ve ever had that problem, Jessica. lol Sorry! I’d try googling “getting dough out of hair”. Essentially bread dough or pizza dough would be pretty much the same thing – flour and oil, so that might turn something up. I’m surprised dish soap didn’t work, but sometimes the best way to fight grease is with grease – i.e. oil will remove oily, sticky stains, so maybe combing a little more baby oil or vegetable oil through her hair with a very fine toothed comb, and rubbing the little pieces between your oily fingers might break it down. You’ll def. need to do a dish-soap hair wash after that though, to cut the grease. Good luck! Love this idea! One of my girls got some store bought cloud dough a few years ago, and she loved it, but it’s too expensive to buy often, and is definitely an outdoor activity. When I saw this post, I thought about making this for students of mine. I have 2 classes of autistic students from kindergarten to year 5, who are often very sensory seeking, and easily bored with activities. This could be a fun change to the usual games and activities we have at lunchtime/recess. With a maximum of 7 in each class, and most of one class integrated into the mainstream playground, and two teachers on duty, this could be lots of fun! Thank you so much! What a GREAT idea! I am so making this for my special needs child! I am guessing to color it you could add dry koolaid, the kind without sugar. If you take the link in my post to the Coloured Cloud Dough, you’ll see how we coloured ours, Elizabeth. We tried a few things, and unfortunately, Koolaid powder didn’t work, but we did find a way to colour it beautifully! Que tipo de farinha posso utilizar aqui no Brasil? Farinha para fabricar pão?? Para que se usa essa farinha na cozinha?? Has anyone tried adding essential oils to it? For a calming activity maybe lavender? FYI I get my flour in a 25 pound bag at a warehouse store for right around $8.00. We were at Space Center Houston today, so when I made it tonight, I called it Moon Sand! I made it with whole wheat flour and it looked like beach sand. My almost 3 year old is having a blast playing with it as we speak! He’s using the plastic eggs left over from Easter to make some neat little mounds. Thanks for the recipe! Becky, I am glad you found something fun (and messy) for the girls to do. I am sure Sophie and Josie love it! I am just wondering, as I don’t work with baby oil ever, do I need to be concerned about clothing stains? Thanks! We’ve not had any staining, Desiree, but if you’re concerned I would just have the children wear old clothing or smocks/aprons. Thanks for the suggestion, Ginny. I tried kool-aid, but it didn’t really work. It was too pale to be noticeable for some reason. Maybe because it’s water soluble, and wouldn’t mix properly with the oil? I agree though Kool-aid is wonderful for play dough! Sure, Kelly! I’m glad you like it! A photo with a link to my site for the actual recipe/details would be much appreciated. Thank you! Just made this for my 3 yr old inside and now it’s stopped raining he is in the garden loving it. And the 11 yr olds are joining in too!! It hoovers up great so no mess. Now I can make this at work in the nursery tomorrow we love sensory play. I’m a homeschool mom. I can’t wait to let my kids explore with this! I would give it a try, Jennifer. I think if it’s the same texture as regular flour, it would probably work. I’m guessing there though. This week I tried cloud dough for the first time with my 2 year old class in child care. We had 16 little people wanting to join in so over an hour we had everyone having a decent amount of time to play (four children at a time). As it was very messy we played outside and once finished the broom made short work of the spills. Thank you for sharing this recipe. I mixed half a bag of flower with 1 bottle 99 cent store baby oil and then added about a table spoon of crayola kids paint in blue it came out with blue speckles so I added another table spoon of red and mixed that in then green and mixed that in and yellow and mixed that in now we have multi colored speckled cloud dough and the speckles do not mix for what ever reason… thought I’d share! because it looks fun! We’re doing this right now and it’s AMAZING!!! Please note that baby oil is highly toxic. If there is any chance of this product being consumed, do not make it. Does it matter If it’s self rising flour or all purpose flour ? May be a silly question, but do you think Avon SSS bath oil would possibly work?? I dont think so because it’s liquid, but any mild bar soap should work. Is this the same stuff that I saw in the craft store Michael’s? I think you might have seen Kinetic Sand or Sands Alive, Michelle. Those have more of a magnetic quality if that makes sense. This feels similar to the touch, and it is mouldable, but it doesn’t have that same, unique magnetic quality that the others seem to have. Just a quick question, why is it messy? Is it just because of the falling apart factor or is it because of the baby oil? We have moon dough and only my 2 kids playing with it so it doesn’t get too messy. We play with it inside because they keep it well contained. You mentioned aprons though is the oil going to stain the clothes? 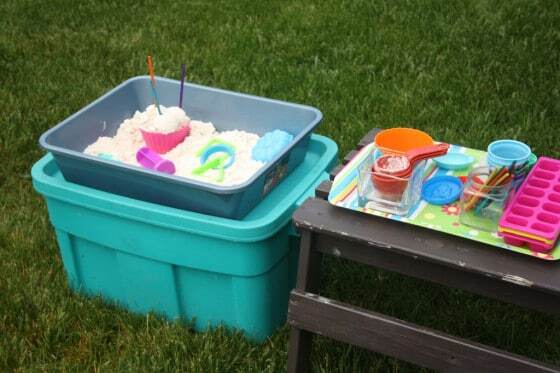 This is a really cool idea and my kids love the Sands Alive (similar to kinetic sand). Just wondering if the cloud dough is greasy to the touch (and can leave stains on clothes) from the baby oil or does the flour soak it up. Thanks! Made this today for my 5 and 8 year old girls and they absolutely loved it. i said after school that we are buying some things for something special I will make them…. it cost met $3 (I couldnt find the colour powder stuff but the white moon sand is just as good). I did sprinkle some fine glitter into it and it worked great. They were playing for hours until I said its dinner time they have to now put it away. Not too much of it landed on the floor I gave them each a big container and some little pans and spoons and scoops and cupcake trays etc. What a fun mom you are! I’m so glad your girls loved it! what about storing it in a ziploc bag? That would likely work, Vanessa. Any air tight container will do. Just wondering. How long do you think the Cloud Sand will last? It will last indefinitely, Lorrie. I just put ours in a container with a tight lid when we’re finished playing. We’ve had ours for a few years now. 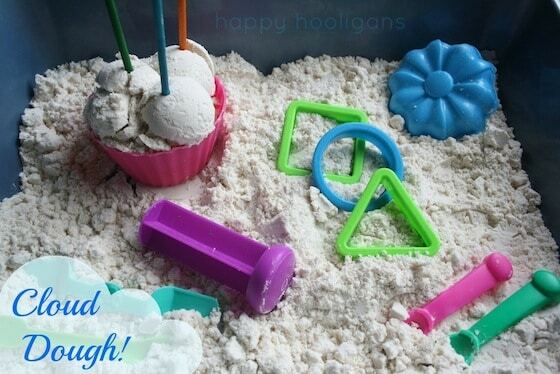 I am wanting to use cloud dough instead of sand for a Dino Dig bday party. Since the “bones” will be white, I am wanting brownish dough. DO you think whole wheat flour would work the same? Or would I have better results if I dyed it brown? Will the children have brown hands and clothes if I use the tempera paint powder? I made this today for the first time and the kids are really excited about playing with it. I put in a bunch of pumpkin pie spice also to add to the scent; it also darkened the color somewhat. Thanks so much for linking to my cloud dough recipe! Looks like the Babe had lots of fun with yours! Isn’t it a bummer that food colouring won’t dye the dough? I think it would be so cool in a vibrant colour!